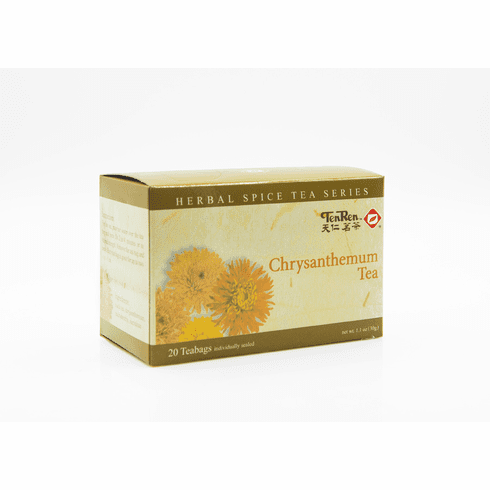 TenRen's Chrysanthemum Tea is a blend of Chrysanthemum flowers and black tea. This tea is one of Ten Ren's most naturally sweet tasting products. When brewed, it produces a light brown color, a strong citrus-like aroma, and strong sweet taste and long lasting sweet aftertaste. It can be enjoyed either hot or cold. Water at boiling temperature should be used for steeping. Available in boxes of 20 bags. Shipping weight is 0.16 lb.